The birth of a child is one of the most important events in one’s life – other than the celebration; it brings maturity and responsibility to the parents. 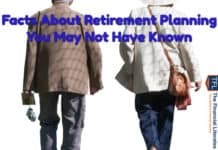 It also brings seriousness regarding our financial life and if we talk about priority of goals, sometimes Child Future Plan is even a shade above retirement planning. There has been a paradigm shift in the thought process of people and generally they don’t make any distinction between sons and daughters. Socially their thinking may have changed but financially they still belong to that old school which is happy with buying insurance policies or some bonds in name of the children. Few new age parents have started buying child Unit Linked Insurance Plans (ULIPs) rather than money-back policies. But is it actually a smart strategy? The simple answer is NO. Emotional sales take place where investors take decisions based on their emotions. Parents are attracted by emotional pitches like “Bunty’s fees” and they end up buying expensive products. Buy a health insurance policy with maternity benefit: Now-a-days there are many health insurance policies which have maternity benefit as a special feature. Expenses at hospitals and regular checkups are mounting day-by-day and this feature will help in reducing the burden on finances. If you are employed you can check whether this feature is there in the employer provided policy. Start a baby fund by regularly setting aside an amount every month to manage the expenses related to vaccinations and other medical check-ups. This amount has to be increased by an appropriate amount if both parents are working and after the child’s birth the wife is planning to quit the job or remain on leave even after maternity leave is over. Start hunting for bargain deals on baby equipments. Buying the best car seat, stroller etc. for the child’s safety and comfort. Paying the full price is often a waste of money. Babies quickly outgrow many of these items. It is advisable to start checking with friends and acquaintances and stores that sell used goods; your baby will never know the difference. And this in turn will save you a lot of money. You should have a thorough understanding of your finances. You should not enter into this responsibility if you are burdened with debt. Your EMI should not be more than 10-20% of your income at this stage since your expenses are going to increase soon. Now let’s come to a second stage, and you will find that raising a child is not a child’s play. Though childcare is expensive for infants, even when your child is old enough to go to school then apart from school fees, you will have after-school care, extra curricular activities, summer camps etc. Well to manage these expenses it is advisable to make it a part of current cash flow so that you do not overspend on other expenses. This is high time to start planning for long term goals and start saving for child’s higher education and marriage expenses. Then you become gender biased. What?? But you said “There has been a paradigm shift in the thought process of people and generally they don’t make any difference between son and daughter.” Still there are some societal concerns which many people don’t want to overlook. For e.g. spending heavily on a daughter’s marriage. You may compromise on the son’s marriage but for the daughter’s marriage no parent wants to cut corners. So this becomes one of the major goals in life. Concerns about helping the son settle down, gifting the daughters- in-law on some regular occasions and festivals and taking care of the children (even after marriage) are concerns for most of the parents these days. So, this increases the importance of financial planning. Now-a-days, people are not only concerned about savings but also the distribution aspect. Savings are important but your planning should be tax efficient also. Looking at mounting inflation if you keep on delaying the savings part then you could be in a major mess later. Looking at some societal obligations which in turn affect the personal goals achievement we here by suggest some tips which can be helpful in achieving the goals comfortably in your own way. 1.) Open Public Provident Fund (PPF) account: The moment the child receives the first monetary gift, open a PPF account in his/her name. Do ensure that whatever child receives it should be used only for his/her benefit. This will in turn ease your pressure of saving. 2.) Start saving with a proper asset allocation: You should be clear on the money value of your goals before starting any saving. Goal value should be inflation-adjusted. Try to use only those instruments which provide tax-free returns like PPF and equity (through mutual funds). If the returns are taxable then the return amount will be added back to the parent’s income and taxed as per the slab in which parent is in. 3.) Buy gold: Not because gold prices are going to move higher but to make it part of your overall asset allocation. If you are one of those who is having big dreams regarding daughter’s marriage – you will need gold. 4.) Education: You can compromise on savings for your son’s education as one can comfortably get education loan whenever or if required. But for the daughter’s education you should save adequately as you may not want your daughter to keep on paying the education loan EMIs even after marriage. 5.) Get Insured: Never purchase insurance in the name of your child. Understand the importance and purpose of insurance. It is to be purchased to manage the risk prevalent in one’s life – death, health problems, accidents. If you want your goals to be met comfortably then proper insurance planning is inevitable. Also what is important is sum assured and not the number of policies. 6.) Do proper retirement planning: If you want your children to be really happy in their life then you should do your retirement planning properly. No parent wants his/her daughter to remain worried about them after getting married. Even in the case of the son there are chances that after getting into professional life or after marriage, he may not be able to support the parents properly and if at that time you become dependent on him then it will create unnecessary pressure in your and his mind. 7.) Give gifts through Trust: From the point of view of proper tax planning and safety of investments for the benefit of married daughter, father can create a private trust in the name of daughter. It helps in practical handling of the married daughter’s funds. If a direct gift is made to the daughter, all the investments normally are in the name of the daughter who takes them with her to her father-in-law’s house after marriage. If by chance there is a financial crisis in her husband’s family, she could be persuaded to part with the investments standing in her name for the sake of her husband’s family. In such a case, it may also happen that she may not be able to replenish the same for considerable time. Therefore to save the funds or wealth of the married daughter from being sold away under the pressure of husband or in-laws, it is advisable to have a trust for the married daughter. If investments for the benefit of married daughter stand in the name of trustees of the trust it is not possible for anyone to ask the trustees to part with the investments just to meet personal or business obligations of the family. 8.) 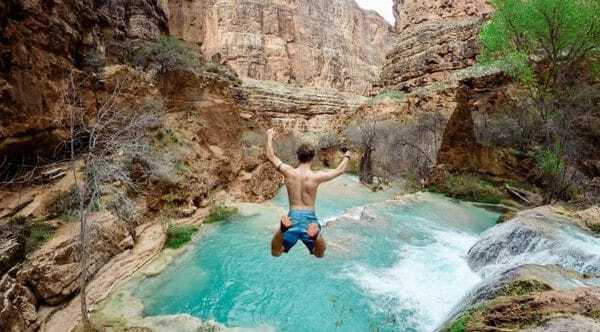 Trust for major son: Creating a trust for the major son has its own practical advantage particularly while he is studying or is not fully settled in life. In this way the funds can be protected from being frittered away if the son were to have the funds in his name only. Thus where the son operates a bank account and makes investments of funds belonging to him particularly when he is studying, there is the risk of his misusing the funds or recklessly spending the funds or wasting them. This abuse of funds can be prevented by having a private trust for his benefit. In this case a bank account can be operated by the trustees which may include the parents of the son as well. If you want to save money for your son’s future business planning, then you can do the same by transferring money to this trust. 9.) Do proper estate planning: If you are really concerned about you children’s future and want to reduce their hardships, then proper estate planning is vital. You should write a proper and tax efficient Will which helps in proper distribution of wealth among your children. You can create different tax files by not allocating the assets directly to the children but to his Hindu Undivided Family (HUF), grandson / granddaughter. You can also create a Trust through your Will. This is the most important exercise which you should do at the moment your child is born. You can write in the Will as to how your insurance proceeds and other assets are to be utilized/distributed in case of your demise before the achievement of planned goals. Planning is bringing the future into the present so that you can do something about it now. Someone rightly said “A good plan today is better than a perfect plan tomorrow”. So do not delay and prepare a plan today. Have you planned for your children’s future? Would you like to add few more practical points in above post? Next articleBudget for your savings and not spending! You are absolutely right, for most middle class parents Child Future Plan is even a shade above retirement planning.I have read many articles on Child Future Plans in many personal finance magazines, but I have no hesitation in saying that yours is the most comprehensive one.Some of the points which you have mentioned have probably never been mentioned in this context.My only regret is that people like you were not around when I was planning for the future of my kids. I don’t know am I really worth to get such an admiration. Just sharing what I have learned over a period of time – hope it will bring some change in financial life of TFL readers. Indeed this article was a treat as I am looking forward to do investments for my 6 months young son. Although you have mentioned in your other article about the term insurance and its importance, still I feel that instead of having a term plan, a plan like Smartkid (ICICI Pru) could be a good choice. In this plan the premiums are waived off by the company after death of parent and the company pays all the remianing premiums, sum assured is paid after the death of parent And the policy continues as normal, with all the benefits to child. However, in term plan, child or the nominee will recieve one time payment of sum assured and thats it. Please advise in this regard. I think you should do some calculations to get an answer. It is you who should convince yourself which is the best option for you and your family. Compare the premium paid in case of Smartkid and any term insurance. Compare the returns in case of Smartkid and any term insurance. Suppose you are paying 25k as premium in Smartkid. Now break this amount into two parts, one for term insurance of 50 lakhs and rest for MFs. A term insurance of 50 lakhs should not cost you more than 7-8k per annum. If you invest rest of the money in couple of good MFs, even with low expected rate of returns of 12%, it should give you more than Smartkid or any such policy. Do the calculations and find it out yourself. what u told will be false, because I have seen when some people come in the name of agent we will treat them as sub-standard, and we behave like we r superior to them. so we neglect them and their advice, think twice will u pay fee to get the advice ???? rather we beg for 1 or 2 month premium to pay…. I have seen many people like this including me so don’t say that u don’t have anyone to give this advice…..
do you think I can start a PPF for him now, can I invest in HDFC Child plan? Your Advice is very helpful, please do write to me. As always thanks for a wonderful and a very helpful article on children because I feel no matter how much we do for our children it will not be enough when they grow up giving the present system of inflation. As you have mentioned he is having some money in Unit Trust (uti amc) – just check is it still in bonds or was converted in some fund. For fresh money you can think for SIP in balanced or diversified equity funds. Like all your other articles this one is also a good and helpful article indeed.You are right,normal parents will be happy with buying insurance policies or some bonds in name of the children without knowing that’s not sufficient for their future.Your points of planing before child’s born is also agreeable.Regarding the Health Insurance policies, i think maternity is only covered after four years after starting of the policy (Apollo Munich medi-claim etc). Opening a PPF account and starting SIP on mutual fund(Equity-long term) for our child will be a good idea. @anil kumar bhai – your last words of the your comment will be a great encouragement for Hemant bhai and I am happy that people like him are here to guide us on the proper way.anyways it’s wonderful article again from Hemant bhai and for sure i will share it with my friends and colleagues. Yes you are right maternity is only covered after 4-6 years – in most of the policies this option is not available. But still one can look for this type of policy – apollo is a good option. Max Bupa HeartBeat plan (silver/gold etc..) do provide matenity benefit after 2 yrs and they also give vaccination free for 1 year for child born after 2 years (from the date of enrollment of your policy). Past two months i have started reading your financial articles. It is really amazing. You are articles are very very clear. The best thing about your articles are you will touch people’s emotions and mind set both, And help us to create wealth. Thanks a lot for posting child plan. I am not married but” I love my dream daughter”. We can categorise it may be with child : under 4 years , 4-8 years , 8-14 years , 14-19 years ? Good idea but right now I am in mood to guide the parents – so they can give good money SANSKARS to their kids. No price for guessing – what I am trying to hint. This quote of Warren Buffet is a real gem.Please continue giving such gems. i really love/like you advise…ppl do BIG mistake taking insurance in child name…I belive the person who earns should have adequate insurance. Planning for Money back policy and Retirement plans in next 6months, my age is 33.
please advise anything more to do. Even buying insurance for investment purpose will be mistake. Think 10 times before buying “Money back policy and Retirement plans” – you still have time on your side. Insurnace is not under investments, i have added all what i did. Really a nice article to make aware a layman who is always concerned with earning source . With at least he has a brief idea what beautiful could be the future if he consider the planning of investment. Hemant as i seen some old person who are working after their retirement just because of fulfilling the family expectations which they are unable to meet due to lack of planning. Your efforts are highly appreciable that you are guiding us through this portal for our better future . As a good saying:- what ever the knowledge & efforts is required to earn money. 10 times of that knowledge & efforts is required to spend it. And you prove it here . Our mind should be focus on all our spending in terms of anything. This I learn from you. And also forward this gyan bhandar to my colleague . I agree with but if people change their definition to Income – Savings = Expenses – things may become bit easy. Better late than never.After reading your article, I have a feeling that I have been late in planning for my daughter.Even though I am late,I have decided to Open PPF account and invest in gold in her name.I also liked the idea of having a trust in her name. If I deposit say Rs.70,000/- into my own PPF a/c at State Bank of India, it is obvious I can claim tax-rebate for this. Now can I deposit say another 70,000/- into my minor daughter’s seperate PPF a/c held in the same branch of SBI??? (I do not wish to claim any tax-rebate on this). But will she be entitled to the interest on the amount invested in her a/c? My investment agent says “maybe 15 years down the line the bank may refuse to pay interest on investments into her a/c”. He is of the opinion that the “total investment” should not exceed 70,000/-. Is there any way around this quandary. But it is important to understand that any income over and above Rs 1500 by a minor child will be clubbed in parents income – so one should invest kids money in either ppf or equity where returns are still tax free. Where is equity? Isn’t equity best instrument to be in as far as long term is concerned like planning for child education/marriage? I am not advocating that a newbie investor just rush to stocks/aggressive MF without looking into the facts first, but there should be a place for equity for such planning. How many people know that a balanced mutual fund, managed by competent fund manager has given 3x return compared to PPF since its inception? Indian economy is on good growth path and will keep the trends at least for several upcoming decades, so equity will grow in sync with it which definitely will outpace traditional debt products in longer run. Risk factor in equity is reduced greatly when we go long and by using long means 10-15 years here. But again, I am not saying don’t look at PPF at all. It’s one of best products available in dept category. It would be a very good idea if large part of your allocation go towards Equity and remaining towards PPF in a long term plan. I think you missed point no. 2. This time I thought let’s talk about other important things. Waiting for your reply. Yah Hemant, might be I hit submit quickly but again I gone through article and getting sense that major stress is on debt side. There may be people who haven’t gone through all the other articles where you highlighted the importance of equity, therefore, may not get complete sense. It might be a good idea to make each blog post complete in itself and stress on good points which may already be repeated several times in earlier posts. I tend to agree with most of what you have said.I have brother and sister who are American citizens.They and their kids visit us regularly and interact with my daughter who is in college now.By our standards kids of my brother and sister are of marriageable age but none of them has married so far.Whenever my mother asks them about their plans to get married, they tell her politely not in near future.My daughter is no different.She decides about the type of education she wants.I am sure she will take a call as to when and how she wants to get married. But the fact remains that good education is very expensive and all parents want to provide the best for their kids and money is some thing which you require in all stages of life.Hence there is no harm in planning to get wealthy.I think all kids appreciate gifts from their parents. The type of portfolio we construct for ourselves is mainly decided by the goal.No meaningful portfolio can ever be constructed in the absence of a clearcut goal.I am sure no big pool of fund can ever be created if we do not have any direction and mindlessly keep on withdrawing money from the pool as and when needed.Wealth creation without proper financial planning is just not possible. While I agree with you that a meaningful portfolio should have clear goals. That’s absolutely fine. But did I mentioned anywhere that we should do mindlessly withdrawal or shouldn’t have goals at all? Nope. What I am trying to pointing out is that there are some goals (at least for me) which I just can’t state in “clear cut” fashion such as child education or marriage. I’d rather prefer to take an education loan for my child which will help me on tax front as well as keep my kid more motivated because he has to pay the loan after completion of education, instead of keep worrying for 15 years for an amount which may fall short or exceed from actual expense. I’m comfortable to pool money in my retirement portfolio kitty and withdraw the “sensible” amount from it as and when needed. I can better track performance/allocation of this portfolio than creating numerous others just for sake of different goals. I have very clear requirements for my retirement and can comfortably align other goals with it where I don’t have clear direction with them. There are certain goals like purchasing a car, property for which you can perfectly guess the required corpus and allocate funds. Without going too much into planning, I try to maximize my saving rate from my income and invest the amount in instruments based on my risk profile. At this moment, without jeopardizing decent living, I am able to save more than 50% from monthly in-flow and this is simply not possible without carefully and continuous planning/tracking. Retirement is far more important simply because if there is NOT enough money you’re headed for welfare or worse! Put your own oxygen mask (in airline) on first, then you can assist others (your children) who may not be able to assist you. Just to add there’s nothing in the Bible/Geta that says you have to pay for your kids college or marriage but still we can’t ignore these goals or run from our responsibilities. Your strategy is rise & its really important to keep things simple. It’s good to hear that you are saving half of your salary but my suggestion is also consider lifestyle risk. I didn’t get “consider lifestyle risk”? Are you referring to rising inflation etc. or something else, could you please elaborate? Sorry wrong added, Insurnace is not under invsetment. No issues Vijay 🙂 hope it was a learning for other people. Maternity benefits are after 3-4 years waiting period. You can try Apollo or Munich. excellent writeup. I am one of the beneficiaries of people of your kind. I almost bought the ICICI Smartkid Maxima plan for my newly born daughter, bowing to the pressure exerted on me by my wife! You’re right in saying that these products actually play with one’s emotions. If the planning is right, all the goals can be met with proper planning, without the need of any specialized products. I found the “trust” for my daughter funda quite useful. Can you give a short guide of how to go about it? Trust is a very detailed & complex thing – should be done under guidance of some professional. Will try to write some post soon. I read this article more than 3 times, because it should register my mind for my Child Future Plans. Thanks for your Great work. I want to invest to get both short term and long term returns. As of now i have got a LIC Jeevan Anand for myself. I was thinking to invenst in Mutual Funds or SIP. please advice what should be done if i need good amount of money after 3-4 years and then after 15 years. My Age is 37 years and have a 3.5 years old daugter and we are also planning for second kid..
For short term invest in debt like bank or post office deposits. For long term invest in diversified equity mutual funds. 1) I have a policy of LICI viz. JEEBAN CHHAYA for 20 yrs starting from 2006 and other one is CHILD CAREER PLAN for 23 yrs from 2006. 2) I have a JEEBAN NIDHI pension plan from LICI fro 22 years starting from 2007. 3)I have purchased only 7 gms. 24 carat gold from AXIS Bank.But my relatives told me that I could not sold it in the market or I could not make profit by selling it in future. 4) I didn’t understand what you told about TRUST. very recently I have subscribed and am really “growing wise” with your views and articles. I am also a stauch believer of SIP in mutual funds and have a quite a few of them . There is one query if you can reply , my daughter is 2 and half years and last year only i have purchased a TATA AIG Mahalife gold for her . can you throw some light on this decision ? will it help in some way ? I am Suman. Can you please suggest me best Children Plan for my daughter future secure. My daughter age is around 1.9 years. What ever you suggest I will go with that. I wish to give best secure future for my kid. I am a middle class family only. I want to be a best father of my child. I am planning to pay 2000/- per month. Please suggest best plan for my kid. Just answer simple question – have you read above article? Instead of looking for a Child Plan I would suggest you to start SIP in a balanced fund like HDFC Balanced Fund. After considering many factors about children future, I came up with a plan. First I have to secure my future , ie, my retirement and the future of my better half after me, so that she does not have to be dependent on my son. I feel that is the best plan I could get for my son, not to be dependent on my son and to give him a life with no burden at all from my side. 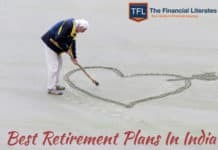 It seems that no money or plan is enough to secure the future after retirement. Still I would do what it take to give my son a burden free start in his life. Smart 😉 but must buy term plan before that. I invested 25000/- annualy in LIC wealth plus. I already paid two premium and one premium is balance.. but as today market situation wealth plus NAV 8.9. so pls. suggest what can i do?? is my investment is wrong? Is the term plan for my son? But he is a minor. For me? I m already 48 years old, still should have term plan? Your advice is so valuable to me and others hope you can feel it. do u think ppf will beat the inflation in long term and will help in child future plan. why in your any of the articles you don’t recommend insurance plans, now let me ask are you a mutual fund or a post agent? I hate LIC as an institution, it is a life insurance ( investment and returns are alien words to them) driven with only death benefit components as there features. with the intervention of Irda certain charges have drastically come down and places best bets in long term horizon, and have more versatility as compared to mf or others. I hope u can recommend plans from private players with good track records . SIP ?? missed out to comment on that. kindly name few good schemes for sip. hope past record will sustain in future. Adding my views in your last comment. TERM PLAN- how term plan are good? suppose I am 33 years old and I buy a term plan of 25 lacs foe the term of 30 years which is I suppose maximum in any case and when I turn 63 I will be left with no cover at all, or do you know any company that can provide life cover at that stage with same premium band. don’t you feel like whole life plan is better option from any private player which will also ensure return of premium and cover till 100, also I can avail loan on such plan after 3 years. I am new to this site and I wish I had known about this site ealirer. I have already shared the site details to my friends as well. I am of the opinion that your views/advise are unbiased, sincere, easy to understand and more importantly you show patience to answer all type of queries. Thank you. I have a question, but before that a bit of a background. Me and my wife are both 40 yrs old. We work in IT and my wife plans to retire by 45. I am not that lucky. I have 2 sons – 10 yr old and 2 yr old. We have two PPFs a/cs (in my name and my wife’s name) into which I have been depositing 140K each yr. Both a/cs will mature in year 2015. I have high premium insurance a/c LIC Jeevan Mitra policy which will mature in another 18 yrs. I am a regular investor in Mutual fund SIPs for last 2 yrs and also have HDFC child plan regular SIP for my first son. For my 2nd son I have recently taken up LIC career plan with over 12K monthly premium. I have fairly good corpus through PF/VPF and also have cleared my 2 housing loans. Please review the above and suggest investment schemes to secure my son’s education and also for my (& my wife’s retirement life). Thanks Manjunath for sharing TFL with your friends. Regarding your query – I believe you are a great saver but not a good investor. These insurance products will not be able to beet inflation so how they can help you in achieving goals. I stumbled upon your articles, when I was searching for Jeevan Ankur policy from LIC. Then I read most of your articles. They are an eye opener. I have made lot of mistakes in investment because of lack of knowledge or Ignorance. I have few queries for you. 1. My wife is an working professional aged around 33 yrs. we havn’t taken any retirement policy till now. Kindly suggest what to look for while buying them. 2. I took a HDFC young star plus policy in 2008 for my kids education planning. But I am not happy with the performance. So kindly suggest which other ULIP is better? Thanks Suresh – If you like these articles must share TFL with your friends. All the points are written considering the current scenario of the urban families. Indeed raising a child is not a child’s play. So to lighten at least the finanical responsibility involved in this I have decided to start investing through SIP for the children’s education & marriage. At present I’m 26 & single. Yup, that’s my goal too. I must say your articles are very helpful; though a little lengthy. I am 35 year old and my income is 20,000/-p.m. I have daughter of 8 months. I invested in LIC 13000/- yearly. I have PPF A/c and invested 1000/- p.m.
Pls suggest me sutaible investment plan for my daughter and pension plan for me to get benefit after retirement. I will suggest you to start SIP of Rs 500 pm in HDFC prudence fund. Try to learn more about personal finance asap. Thank you very much for forwarding this article link. I was very much confused about investing for Child’s future. Need your help in below points. My current Age is 30 years and monthly take home salary of 40,000/-, Home loan emi 14,000/- for next 20years, 10 months Son. 1. I have 2 LIC policies having yearly premium of 22,000/- and covering just 3,00,000/- sum assured. Could you please advice about do I continue with this or close. I want to start the Term policy of at least 50 Lacks. 2. From which institution I should buy term policy ? There r some private institution like Bharti/Axa, ICICI Prulife, HDFC Life which provide with less premiums compared to LIC. Please advice. 3. PPF or balanced/equity fund SIP of 2000/- per month for Child future needs? IF equity, then please advice some best MF for long term 10 – 15 years. 4. I have stopped my previous SIP’s and started giving lump-sum amount against my home loans from last six months to reduce the principal amount. Is it fine or I should start one more SIP of 2000/- pm. Child future planning is a big goal & I can understand your confusion. You have not shared your name of your insurance policies but looking at premium to sum assured ratio they should be endowment plans. Surrendering is not an easy decision in endowment policies as in early stages you hardly get 40% of your premiums back after surrendering. Paid-up is another option but will suggest sitting with your agent or some other advisor & analysing your policies. Term plan is a great decision & you should immediately take one – you can consider HDFC & ICICI from the names that you have mentioned. I am not sure about your overall asset allocation but you can start your SIP in equity diversified funds – you can start with HDFC Equity & DSP BR Top 200 Fund. Prepaying a loan is not a bad idea but looking at tax benefits in home loan real interest rate is bit lower but you should take the decision depending on your spending habits & your experience with investments. What a lovely article you have written, thanks for eye opener. Since few days i was also looking for children plan but now definitely i am not going to go for it. I need bit advice from you, will be really thankful if you can suggest. My age is 26 and i am going to become a father in 15 to 20 days. For the PPF account you suggested i already hold one and deposit money upto their max limit, and from this year we can put 1,00,000 into PPF, i am planning to open another account for my child’s future might be on his name or under my Wife’s name ( i am not looking for tax saving on that). Now in what more funds do you recommend i should invest, i am going to buy a term plan soon as well (admired from your article) I also hold Life insurance policy of 30k a year and another SBI saving plan policy 20k a month.Please suggest me how do i head start investment planning for my coming child. 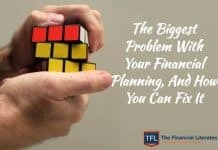 Buying a term plan is a very good decision at this stage as financial responsibilities will be at peak & it will of great help to your family in case of any mishap. You are contributing more than Rs 2.5 Lakh in insurance policies – my suggestion is you should evaluate these polices so that you will not get any shock at maturity of these products. My self 38 and wife 36 we both are working and our monthly income is 75 thousand and I have a 14 years old son. Till date I have done some regular investment and some SIP but still I fell I have do lot for my old age and child good life. I have shared this sheet to so many Financial planner but all say u have to close this and start new one (What plan they have) so pls guide me I am in correct path or I have to change my profile. I can invest 3-4 thousand per month up to five yrs. so pls suggest me more investment plan. I have taken LIC Komal Jeevan for my daughter. Policy Start Date : 14-Nov-2011. Is this a good policy for my daughter. Or should I go for some other policy. Should i continue this policy or should I surrender ? As you have just started the policy – surrendering or making it paid up will only be possible after 3 years. But as you are paying monthly premiums there is a touch decision that you take – you can immediately discontinue the premiums but in this case you will lose the premiums that you have paid. I am not making any suggestion – you can discuss this with your agent or some other advisor. I also created a recurring deposit of 10,000 monthly to save for my son, insurance premium payments or at times it even helps in force savings. Somehow, I feel the need to invest my money smartly so that I can reap more benefits and plan a better future for my son at the same time taking care of expenses. I’m hoping to take some good tips from you on investment, esp keeping in mind the fact that I’m not too well versed with financial instruments. What I can see is most of your investments are going in insurance polices – will suggest you to learn more about your polices so that you don’t get disappointed with your maturity figures. RD is a good decision for forced savings but you can also increase your contribution to PPF. Alas, I too am a late entrant to your wonderful guide. Coming to the focus point. I am 34 yrs old working alone in my family. I have a 1 year old daughter and I am still grappling to open up savings for her. What you told about PPF is definitely a good idea. What I have done is whatever monetary gift we have received is made as a FD with 10% returns under my father’s name who is a Sr. citizen. Also I have opted for a RD of 5K for about 15 months which also yields 10%. Having said this what do you think is an optimal solution to saving and increasing the net worth of that savings till she grows up. It looks you are doing eight thing but must consider taxation in case of RD & estate planning in case of investment in name of father. You must have some equity exposure through mutual funds as it is a very long term goal. my son is just completed his 1 yr , and we are planning to have some good insurence plan for child future viz for education but we are are totaly confused , we are planning to invest in a good LIC child plan . can you suggest which plan is best to invest in . Think beyond Insurance polices for investments. Great, There is true site for Financial planning… Thanks to you. I read the article, I would like to go for term plan insurance investing atleast 20,000/yr which helps my family, health and 2 child’s plan. I’m confused of all insurance companies. Name the insurance plan and company where i can invest. I have a doughter of 2.5 years, I want to invest for her but not found good child plan. Kindly advice for investment which will use full for her education as well as marriage. Not sure if you read the 9 points under long term goals Hemant wrote in this article. The best way for child’s long term goals is to invest in PPF, Equity MFs and gold. There is no such thing called “good child plan”. Start an SIP in mutual funds..You can start with balanced funds. Read below to know how systematic investments will help. kindly suggest for long term investment .i need 50lac after 20years. and best child plan for 6month born son. Child plans have initial cost very high since they try to provide higher life coverage and have inbuilt features like waiver of premium, payment of premium by the company etc. Also, liquidity and transperancy is a major issue when it comes to fund underperformance. Keeping it simple and a term insurance +MF combination will help you in planning for the child effectively. However, you will have to create a good discipline wrt MF investments and not to withdraw in case of any fund requirement for other goal. Present assets : A 2 bed room flat in NCR and a 200 yards land in Indraprastha Ghaziabad ( through lottery)- No Debts. THIS IS A VERY USEFUL ADVISE FROM YOUR PART. MY WIFE IS EXPECTING & I AM TRYING TO PLAN OUT THINGS BEFOREHAND. YOUR ADVISE TO NOT TAKE INSURANCE POLICIES IN THE NAME OF CHILDREN SEEMS VERY TRUE. WE DO NOT WANT THEM TO PAY PREMIUM IN CASE OF ANY CASUALITY… IT SHOULD BE IN THE NAME OF PARENTS. I WOULD BE OBLIGED IF YOU CAN WRITE ME ANY FURTHER TIPS ON CHILDREN’S FUTURE PLANNING AS WELL AS RETIREMENT PLANNING. I am warking as Network adminstrator in a private organisation, i am earning 15000/- gross net is 13760,alrady i hve taken one LIC Jeevan Anand insurance plicy one year back 18 years plan 6months 1,00,000 Lc plicy for me, i having 3 months baby and i have take care of my mother and father.i am leaving in Hyd in rental home, i have to invest 500 to 1000/- permonth for her carrier what is best way for me can give guidence. When you are investing for long term you have to select asset class which can beat inflation and give you good risk adjusted returns. Traditional insurance plans fail here as returns are not adequate for accumulation with this objective. Invest through mutual funds which are cost effective and helps you in meeting the desired goal. Yes, your article is really helpful for a person like me who just buys the insurance and other things without any planning. I like to inform you that I have a son ( 2 years old right now) and I live in a joint family. 3) ING Vysya plan – Name- FLA- fetches me 13.5 L by next 16 yrs.- Rs. 3115/- per month. 5) Purchasing Gold of Rs. 5000/- per month- For fixed period of 15 months. 2) My retirement is unsafe, I know, so please suggest. The best strategy for your child planning is to keep your investments Simple. Look for term insurance for protecting the child goals.Have an asset allocation approach for investments wrt. the horizon for your child requirement and your retirement. You can choose products only when you are aware abut your requirement and know the risk return characteristics of every investments. by oversight i reached this blog & read children education. Very nice article. May be its very old article. But much useful. I have 2 kids, daugher – 10 years & son – 7 years. Every month school fees & music class fees goes around 7000. you can guess other expenses about kids. Other than this expenses, how much should i save for them. i would like to get proper plan, by which email id i reach you????? In short, split your money with SIP and PPF for long term investment and do not look for any “child” word in savings..
Child plans are costly and to accumulate for the required goal you will have to contribute higher premiums. The ideal means to plan for your child is to keep insurance and investments seperate. Identify what you will need for your child and then evaluate investment option. I have a son 14 years studying in Class VIII. Unfortunately, due to less salary / high expenses / jobless, I could not able to make any major savings. Recently I have opened 3 RDs, monthly deposit 3000/- since last 01 year. I am having HDFC Young star opened in year 2007, but that has also lapsed as there is no ECS debit by HDFC Bank from my saving account since 2011. Due to this now I am going to close this by which I will get approx Rs. 90,000/- whic I want to invest for my son studies. I need good amount of money after 4 years for my sons admission in B.Tech., next amount after 4 years for his MBA and later for his mairrage. Pls suggest me good high interest, tax saving, safe and secured, saving scheme short term and long schemes, to fullfill my requrements. Presently, I can save Rs. 30,000/- per month. The return and risk in any product have a direct co-relation. Products which offer you high returns also carry high volatility risk with them. You can reduce the risk by giving longer time horizons to your investments. You have a 4 year horizon for which high risk product like equities are not suitable. You will have to consider debt instruments wherein the returns will not be too high. Also taxation of returns will have an impact on your earnings. Ideal is to identify the amount you need and then evaluate where you can invest. If there is a shortfall in meeting your requirement then you will have to look sources for the same. It seems that i will have to read all posts henceforward-old and new. too informative to miss. My son is turning 2 yrs soon and I guess I should now start planning for his pre-school and other expense in various life stages. By now , I have got a term plan & health insurance with adequate covers. However, for his direct expenses there is no investment that have been made by now. Please advise which instruments are best suited for his schooling , college and marriage expenses. Mutual funds or Child plans or any other ? With mutual funds you can create a good investment portfolio. The benefit of this avenue is that you can have a mix of different categories from which you can create a well diversified portfolio. Apart from this PPF is also a good investment avenue. i want to buy bajaj allianz child plans,should i buy it? This is really a nice article. Am concered about PPF and Term Insurance and already have it. Also I have started investing in MF. In this article you have mentioned to “Trust for major son”. What is a trust and how it works? How can I start it ? I have a small kid but I want to have the idea how to go for it ?Please write in details. Its difficult to write about trust in few lines. It is a different entity and a structure where you ensure the assets you have built for your family are utilized for their benefit. You can schedule a discussion. Nice and helpful post as usual.